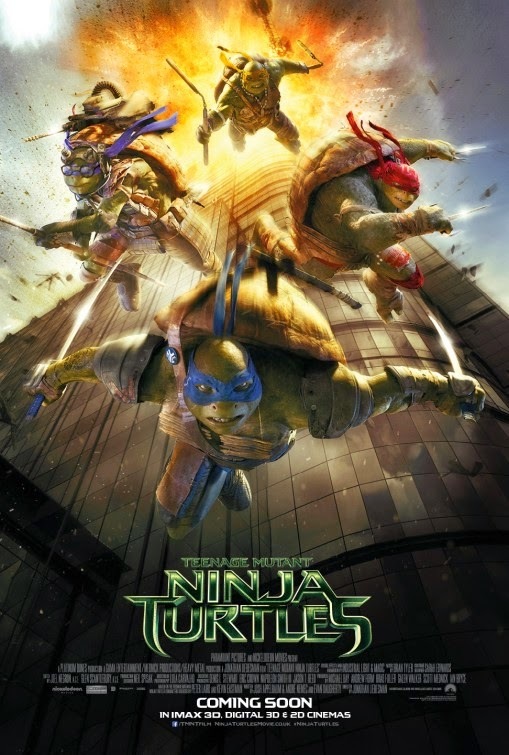 1) TEENAGE MUTANT NINJA TURTLES – You know you’re in deep trouble when you find yourself longing for the artful touch of Michael Bay… Taking the Emperor Palpatine-like producer’s chair for this wretchedly shrill, mean-spirited and crass exercise in nostalgia-baiting, the Transformers mastermind instead hands the directorial reigns to Clash of the Titans/Battle: Los Angeles “visionary” Jonathan Liebesman, who tries and miserably fails to ape his obnoxiously cynical – but technically proficient! - overlord. A revolting sewage-scented toxic waste pile of ugly effects, creepy misogyny, cringe-inducing stabs at humor and unimaginative, tedious martial arts combat, this update is utterly without merit (okay, pointlessly wasted co-star William Fichtner’s super-lame April pun gets a quarter of a point) and serves only to provoke fond post-viewing critical reevaluations of 1993’s Teenage Mutant Ninja Turtles III. Forget the three-hour Transformers: Age of Extinction, last year’s most punishing endurance test was making it through this thing’s 90 soul-blackening minutes without praying for a quick death by katana blade. 2) LEFT BEHIND – Hands down, the most consistently hilarious bad movie of 2014! This ultra-earnest second cinematic adaptation (the first was a 2000 Kirk Cameron cheapie) of the popular Christian rapture book series by Tim LaHaye and Jerry B. Jenkins plays like a tone-deaf, campy mash-up of lousy TV soap opera and the goofy 1970 disaster epic Airport. Aspiring to achieve faith-based crossover success, Left Behind 2.0, helmed by legendary stuntman/second unit director Vic Armstrong, instead only manages to earn the sad, albeit notable, distinction of being the worst entry on Nicolas Cage’s problematic filmography (and the only one to feature a little person being kicked down a slide unironically!). Watching his lifeless, dreary performance – set predominantly in a plane cockpit that recalls Plan 9 from Outer Space – it’s impossible not to feel the once-and-still-great actor’s burning desire to join many of his onscreen colleagues in vanishing altogether. 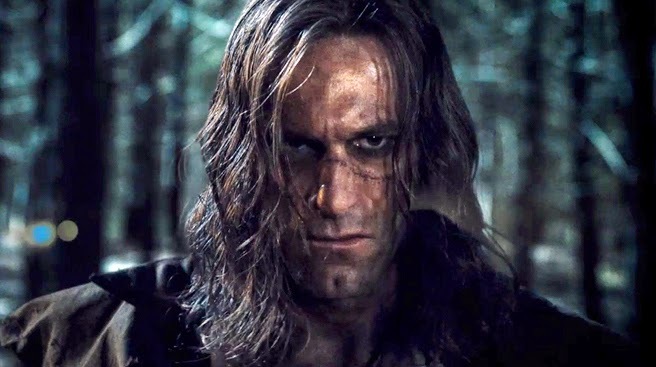 3) I, FRANKENSTEIN – It ain’t easy to make the Underworld and Resident Evil franchises look like masterworks of genre genius by comparison but, man alive, does this rotting, mindless Aaron Eckhart-in-mascara vehicle come damn close! Based on a graphic novel that’s never actually been printed (shocker! ), Stuart Beattie’s ghastly angels vs. demons action dud reimagines Mary Shelley’s classic creation as a ripped, middle-aged, hoodie-wearing emo dude named Adam who beats evil-doers up with sticks. A punishing, imagination-deficient demo reel of crappy CG overkill, I, Frankenstein is, fittingly, a lurching, patched together horror show driven by an idiot’s brain. 4) TRANSCENDENCE – This cyber-thriller slog-a-thon aims to be a grounded, cerebral Christopher Nolan-esque cinematic headtrip, yet really only inspires migraines from sheer boredom. Featuring a cheque-cashing Johnny Depp as an AI specialist who, following an assassination attempt, has his consciousness uploaded into a computer and starts going all Lawnmower Man on fools, Transcendence struggles incompetently throughout its run-time to outsmart even the dimmest members of its audience. First time helmer Wally Pfister – Nolan’s long-time master cinematographer – may be a genius at composing breathtaking shots (though not here, strangely), however as a storyteller he displays all the power and capability of a broken down Commodore 64. 5) WINTER’S TALE – Many thought Mark Helprin’s much loved 1983 time-travelling fairy tale romance unfilmmable. Turns out, they were really, really right! Of course, Akiva Goldsman – the Oscar-winning writer of A Beautiful Mind, and hacky scribe behind Batman and Robin, Lost in Space and I Am Legend – probably wasn’t the man to try. His directorial debut is a deeply silly, confusing and glacier-paced checklist of corny fantasy epic tropes devoid of coherence or directorial vision. That stars Colin Farrell and Jessica Brown Findlay escape with dignity intact (even after riding a flying horse that everyone calls a dog for some reason) is a profound testament to their gifts, as Winter’s Tale is a yawning, frigid void of terrible, adorned in phony starlight, sunshine and gems.